Leading phone manufacturer Samsung is setting its sights on the release of new cellular devices free of Google’s Android operating systems. Tizen, an open source operating system, is expected to be integrated into the company’s high-end device. Lee Young Hee, executive vice president of Samsung’s mobile division, told Bloomberg that “the Tizen phone will be out in August or September, and this will be in the high-end category,” adding that “it will be the best product equipped with the best specifications.” The attempt to decrease dependency on Google’s operating system comes at a time when Samsung is seeing record-level profits. 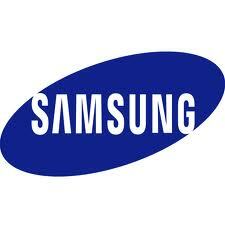 According to Samsung’s quarterly reports, the company’s net profit for months January to May rose 42 percent to over $6.5 billion. One of the main reasons for the increased profits is the success Samsung’s Galaxy mobile devices series has been enjoying, including the recently released Galaxy IV and Note devices. “We like Android and we plan to continue our good relations with Google. Our strategy has always been to work with multiple operating software companies,” said J.K Shin, head of Samsung’s mobile division, to the Wall Street Journal. “There are simply a number different needs from our customers and the market for third-party operating systems.” Therefore, it is possible to see that the introduction of Tizen-operated phones into Samsung’s line of phones is not intended to drive out the use of Android completely. Up until now, the Android operating system has been blanketed by the TouchWiz user interface on all of Samsung’s devices. This means that the transition to Tizen should not be too dramatic, as TouchWiz will remain the main end-component of the operating system. As a result, regular users will not notice too many drastic changes. OS News reports that many applications developed for Android could easily be transformed over to Tizen, owing to the fact that it is an open source system. According to the Tizen’s official site, many known brands from the tech industry, such as Asus, Acer, Intel, and Samsung itself, have been involved in the Tizen initiative. Its goal is to replace the Linux-based MeeGo project. The Linux Foundation, as well as other supporters of the Meego and Tizen intiatives, have announced as soon as 2011 that the MeeGo basis was outdated and slated Tizen to replace it with time. Other companies such as HTC and Fujitsu are also expected to join the Tizen initiative in the near future, according to the project’s website. The industry-wide push toward high-end Tizen phones seems to come as a reaction to the stranglehold of Google’s Android and Apple’s iOS system over the mobile operation systems field. CNET reports that Tizen-based phones could be more enticing toward service carriers. This probability flows from the fact that service carriers will have more control over the operating system’s settings, thus giving carriers the ability to have more control over their subscribers.